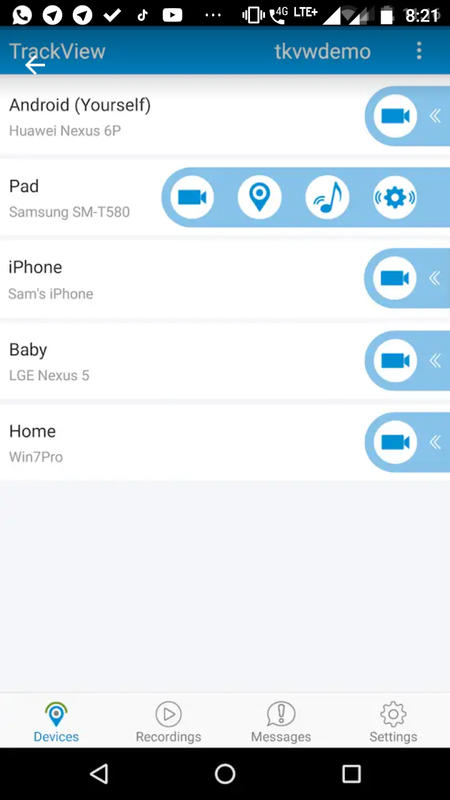 TrackView turns your smartphones, tablets and PCs into a connected IP camera with GPS locator, event detection, alert and cloud / route recording capabilities. The Windows and Mac version are available for free from our website. TrackView has many more features than other security monitoring apps. TrackView offers in-app purchase. Please try the free features first before purchase. We do not process refund. Thanks. No equipment to buy, no messy wires, you can install TrackView on your device in less than one minute! 18. Automatic network switch: When the network switches, TrackView will automatically switch to the network available. 19. Real-time and low latency: to ensure you get updates on events and watch video in real time. 20. 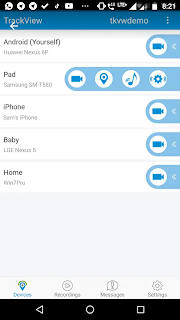 Universal accessibility: Access any of your devices from anywhere in the world.